Tesoro 21st Century Classics: Jaw-Dropping Kitchen Design Pictures – Design Your Lifestyle. Traditional luxury will never go out of style. That is the thought process behind the Tesoro ™ Collection, a series of traditional kitchen designs that mix old-world design theory and modern technological amenities. The Tesoro ™ Collection is a trademark of Peter Salerno Inc., the most-award winning custom kitchen and bath design firm of the 21st century. In Italian “tesoro” means “treasure.” When you step into one of our Tesoro™ kitchens, you are stepping into an interactive treasure box created for you by the highest awarded design firm of this century. Tesoro™ is the best of Classic and Old World design re-imagined for the 21st Century. Tesoro™ features our own moldings, colors, woods, reclaimed tin hoods, and reclaimed tin panels to ensure a truly one-of-a-kind space unequaled in luxury. The combination of classical and contemporary speaks directly to the three generations of family artisans that comprise the Salerno legacy. Peter Salerno’s father, Rosolino, was a master craftsman and cabinetmaker trained in Sicily. He passed his love of fine craftsmanship on to his son, and Peter’s artistic vision coupled with his father’s “old world” training created a design dynasty. Peter Salerno’s idea behind the Tesoro ™ Collection is simple: classic, beautiful design can be timeless, but functionality of that design needs to remain current. 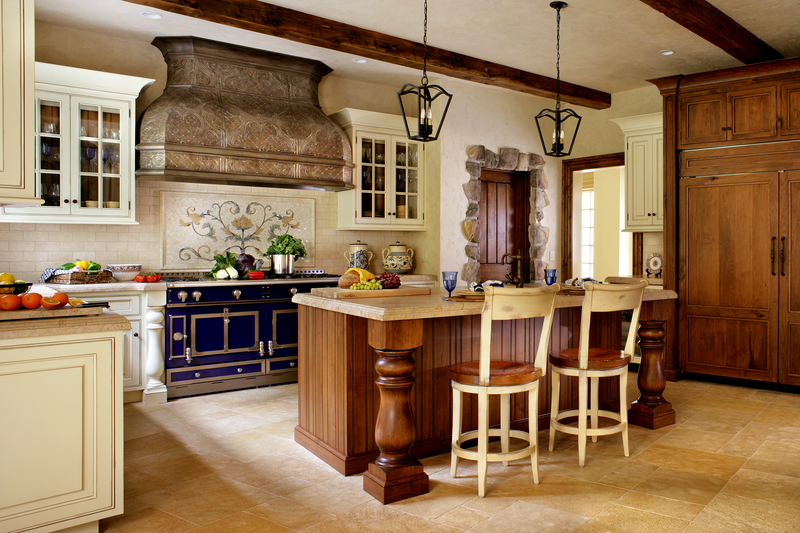 By crafting luxurious traditional kitchen designs around aesthetically beautiful and modern appliances, the Tesoro ™ Collection from Peter Salerno Inc. is something to behold. Many Tesoro ™ Collection kitchen designs offer custom designed and created hoods made of reclaimed tin ceilings from around the world. Not only does Peter Salerno create a new life from recycled materials, but each pattern comes with a backstory. Some of his patterns have been taken from gas stations on Rt 66, cafes and jazz clubs in New Orleans, and speakeasies owned by Al Capone. These hoods are truly unique and are only available through Peter Salerno Inc. 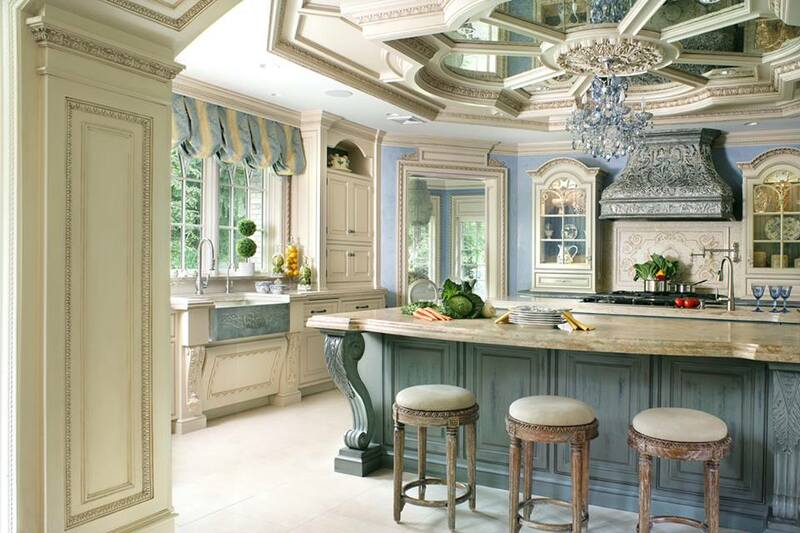 When Peter Salerno Inc. assures you a kitchen that blends “Old World” design with 21st century innovation, that is precisely what you can expect. Peter Salerno will provide you with a truly innovative and interactive kitchen, complete with ties to the world’s foremost appliance makers and product designers. 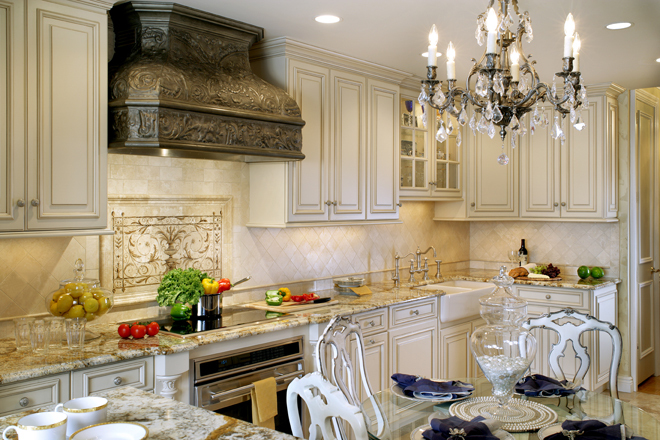 Whether your taste is fine marble tile, handcrafted cabinetry, beautiful and cutting-edge appliances, or simply the most luxurious kitchen imaginable, Peter Salerno Inc.’s Tesoro™ kitchen design line will exceed your every expectation. 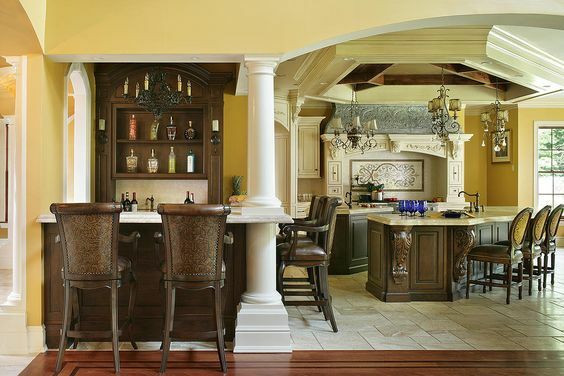 You can see even more examples of Peter Salerno Inc.’s world-class by visiting their Houzz page, logging onto their website, or visiting their Wyckoff, New Jersey showroom.